Sometimes “not feeling well” seems worse than being “sick in bed.” When you have a mild cold, you still have to function in your job and home life. When you have the flu, however, you take days off and rest. Inverse psoriasis is the “not feeling well” of psoriasis. It’s not so bad that you have to stop living your regular life, but it’s really uncomfortable. Most of the time, you can hide your skin rash, but you never stop feeling it. You have irritated, itchy, and sometimes infected skin that never seems to let you forget your condition. Fortunately, there’s a way to treat inverse psoriasis. Once you figure out what triggers this condition for you, you’ll be able to make changes to soothe your skin and begin an inverse psoriasis treatment to help you keep it under control. Inverse psoriasis is psoriasis in the body folds. It can appear in the armpits, groin, genital area, behind the knees, or underneath the breasts. When psoriasis affects a crease in the skin, it’s considered inverse psoriasis. Inverse psoriasis is often found in combination with other forms of psoriasis. Plaque psoriasis, the most common type, causes red, raised patches of skin, often covered with a white, plaque-like scale. These patches appear primarily on the knees, elbows, and scalp. Think of inverse psoriasis as its opposite. Unlike plaque psoriasis, there’s not a heavy scale that builds on these irritated patches of skin. Instead, areas affected by inverse psoriasis are moist. The lesions are often an irritated red color, but the skin is shiny and smooth (rather than dry and scaly). Inverse psoriasis can be tricky to diagnose. To the untrained eye, it looks more like an allergic reaction or a fungal infection. Your dermatologist will know the difference. Areas of the skin affected by inverse psoriasis are often more susceptible to fungal infections or yeast, but the main problem is psoriasis. Psoriasis comes from a combination of genetic and environmental factors, but the specific triggers of psoriasis vary for every individual. People often experience a flare of psoriasis when there is stress to the body — mental, emotional, or physical. The physical stress of getting ill or experiencing a car accident may trigger the symptoms. The emotional stress of divorce or family illness could be another cause. Even the mental stress of college, tests, or a high-stakes work deadline can trigger psoriasis flares. For others, food affects their condition. There aren’t specific foods that trigger psoriasis for everyone — this is very person-dependent. For some people, gluten triggers a reaction. Others can eat as much gluten as they want and their psoriasis won’t be affected. There are also genetic links to psoriasis. It’s not 100% hereditary — just because your parents have it, doesn’t mean you’ll get it. However, it does tend to run in families. Typically, it’s a combination of these factors that causes psoriasis to appear. If you get it, you’re likely genetically predisposed to psoriasis and experiencing a stressor (emotional, physical, mental, or food-related) that triggered a reaction. For inverse psoriasis specifically, friction and heat are also triggers. Warmer months are especially bad for those with inverse psoriasis. People often notice lesions appear after times of high activity. For example, if you walk around Six Flags or Disney World for the day and later notice lesions in the groin or armpit, these were likely induced by heat and friction. Psoriasis is a chronic condition, but we have many treatment options that make it manageable. For psoriasis, we always start treatment with a topical steroid. For inverse psoriasis, we use a mild steroid. Resist the temptation to use a steroid that was prescribed for another area of the body on your inverse psoriasis. Unlike plaque psoriasis treatments, we’re not trying to penetrate a heavy scale with the medication. Instead, we’re dealing with moist skin that folds. As the skin rests against itself, it creates an occlusion effect which allows the medication to better penetrate the skin. If you use a steroid that’s too strong, you increase your risk of side effects such as thinning skin and stretch marks. To make sure you’re using the appropriate class of steroids, only use medications prescribed by the dermatologist for your inverse psoriasis treatment. A topical steroid may be all you need to clear up your condition. If there’s little reoccurrence, you can just use as needed. However, many patients need other non-steroidal treatments to keep inverse psoriasis under control. Often, we recommend Vitamin B Analog in addition to anti-fungal treatments. The areas affected by inverse psoriasis are dark, warm, and moist — which makes them a breeding ground for fungus. The fungus isn’t the source of the problem, but it makes the irritation and discomfort worse. We also recommend applying a barrier ointment to affected areas. A product like Vaseline can be beneficial as it protects the skin against sweat and moisture. If you know you’ll be walking and creating friction in the areas of irritation, apply Vaseline to help the skin glide easier. To find the best inverse psoriasis treatment for you, visit your dermatologist. 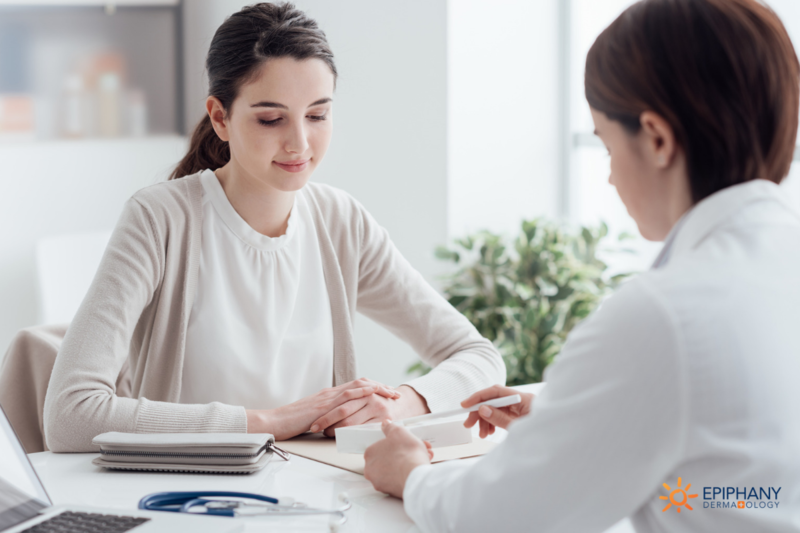 They’ll be able to evaluate the severity of your condition and help you find the right combination of prescription and non-prescription medications for managing your inverse psoriasis. With any type of psoriasis, make sure to visit your primary care doctor regularly. Psoriasis increases your risk of cardiovascular disease and joint problems. It’s important to stay on track with annual physicals to manage the risks involved. Your dermatologist can help you treat the skin irritations, while your primary care doctor can help you manage other related health concerns. Inverse psoriasis requires regular attention and treatment, but it doesn’t have to cause constant discomfort. Don’t let inverse psoriasis make your everyday life uncomfortable. Call your dermatologist today, and they’ll help you find a treatment plan that works for you. 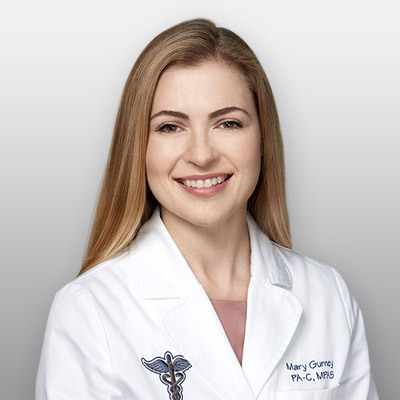 Mary Gurney, PA-C is a board-certified physician assistant in Denton and Frisco, TX. An active member of the Texas Academy of Physician Assistants and the Society of Dermatology Physician Assistants, Mary has a passion for medical and cosmetic dermatology and has practiced medicine for over 10 years in the DFW area. In her spare time, she enjoys watching movies, reading, hiking, checking out new restaurants in town, and spending time with her family. Learn more about Mary Gurney.